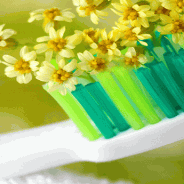 Our purpose is to help you achieve and maintain better health through our natural, holistic approach to dental care. Dr. Barron is committed to the safest materials & procedures, we are on the cutting edge in these areas. Natural or Biological Dentistry means utilizing the safest, non-metal dental materials that exist on the market, and eliminating metals and other toxic factors from the mouth. What is Biological or Natural Dentistry? A biological dentist KNOWS that the mouth is connected to the rest of the body. If the mouth is not healthy, neither will the body be healthy. If the mouth is healthy, there is a better chance the body will be. A healthy mouth includes being free of toxic materials, which can include silver amalgam fillings (50% mercury), stainless steel nickel crowns covered with a layer of porcelain, fluoride and other substances. A healthy mouth does not have restorations of toxic materials. A healthy mouth has sound gum tissues, no infection or deep pockets. A large portion of gum problems is due to an allergic reaction to dental materials. Biological dentistry also knows that the muscles and bones of the head and neck, and the way the teeth come together are vital to the health of the organism. If any of these areas are not in alignment, this can affect the airway, which can restrict oxygen while sleeping and cause sleep apnea, a potentially life threatening condition. The muscles of chewing and the bones of the head and neck also can affect the channels that support and protect vital nerves to and from the brain, and can cause a myriad of physical problems if these nerves are inflamed or restricted due to dental maladjustments. A biological approach is holistic. Symptoms are a clue that something is not right. This gives us the chance to get to the root of the problem and terminatedly handle that, not just cover up the symptoms with drugs. Biological dentistry stresses informed choice, which means all options are given to the patient, along with the pros and cons of each one. It is totally up to the patient to decide which route is proper for him without undue pressure in a particular direction. When possible, a biological dentist will chose a homeopathic remedy instead of a pharmaceutical one. He knows the value of good nutrition and how it relates to healthy teeth, and stresses to his patients the value of whole, organic foods as opposed to packaged and fast foods. A good biological dentist is actually a dental physician, one who can positively affect overall systemic body health.